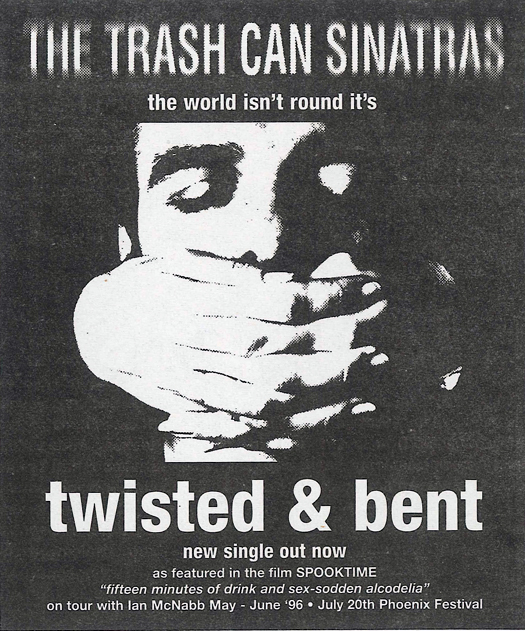 Here’s a small newspaper advert promoting the release of 7th single , ‘Twisted and Bent’. As well as promoting the single it also gives a wee plug to their tour in support of Ian McNabb and also the Phoenix Festival of that year. Anyway, I’m off to explore Murphy’s law and the rules of Columbus – back soon.